King Cuomo? Really Tom, isn’t that an exaggeration? (In case you missed it, Tom used that phrase twice.) Andrew Cuomo was elected Governor by a majority of New York voters. 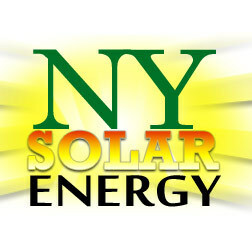 Because of his unilateral decision, New Yorkers cannot develop their mineral rights and as a result Southern Tier families and communities have suddenly lost valuable income streaming their own property. I care for those family farmers and taxpayers and that is why I will lead a charge in Congress to ensure those individuals have the opportunity to be justly compensated for their losses. Unilateral? Really Tom? Compensate landowners for not being allowed to frack? What is the legal precedent for that? (Gov. Cuomo’s) policies hurt our communities, they hurt our neighbors, and they hurt our families. Instead of developing safe, natural gas that provides jobs and encourages New York manufacturing, Governor Cuomo has left New York manufacturers with higher energy costs and fewer opportunities for our residents. This in turn leads to fewer jobs for New York as a whole. Tom ignores the fact that most New Yorkers, even upstate, oppose fracking for good reason. He ignores New York’s clean energy project. Is frustration among Republicans out of hand? I think of former Rep. Michael Grimm, NYS Senator Tom O’Mara, Senator McConnell, and the harsh statements of many disparaging President Obama. I am convinced that Tom typed out this press release himself in a snit. The lack of proofreading and the angry tone suggest a lack of caution and reflection. Tom will need wide support in 2016; he had better take care not to let his anger get the best of him. This entry was posted in 2016, Congress, Constituents, Economics, Education, Environmental, EPA, Gun Violence, Hydrofracking/Gas& Oil Industry, Political, Reed's Views, Rights and tagged Casino, Common Core, farmers, Fracking, SAFE Act. Bookmark the permalink. Do we credit Tom for opposing an extremely bad bill for a personal reason while supporting one that is little better? I think my favorite line in that whole article was this one: “Why leadership did not initially listen to the women still baffles members of the conference…” Perhaps they’re getting a gleam of understanding there, and seeing what the rest of us already see. Perhaps we’ll even get some defectors! Pass the popcorn. The article illustrates how decisions are made by a small group of men meeting privately. I for one am very impressed that Tom Reed actually spoke his real thoughts and opinions! How long have many of us asked Reed to publicly say what is on his mind, and be truthful about his motives? Kudos Rep. Reed! By all means – please continue! If I was beholding to the fracking industry I would be pissed off , too. My condolences. Nov 7, 2014 … Cuomo got 91,715 votes to Astorino’s 85,871 votes in Onondaga, Cayuga, Madison and Oswego …. Cuomo won the welfare vote big time. but they can still drill for gas, they just can’t frack, wanna bet they are drilling right now ? Bob. You are right. They can always “frack” later. So, why the rush? Let’s continue to study the effects of fracking on the environment. For example. The pollution of the wells and water supply seen in Pennsylvania. The earthquakes in Oklahoma and Ohio where there were never recorded earthquakes before. Better to be safe than sorry.Maybe in the future they will develop less disruptive techniques for extracting this resource. Even the CEO of ExxonMobil, the world’s biggest “fracker” OPPOSES fracking…when it is in his backyard ! Those registered as Conservatives in New York State are a dismal few thousand. Registered Democrats outnumber Republicans 2:1. The only reason that the GOP holds any offices at all in NYS is because the districts are gerrymandered in favor of Republicans. Rural areas are held back because of this GOP stronghold on their local economies. They are incorrigibly stuck in the 19th Century. This status quo is so entrenched that is is impossible to challenge. Fracking is a Dinosauer technology—that’s why they call it “fossil fuel.” Cuomo will bring prosperity to the Southern Tier eventually…if he doesn’t get indicted with Silver. Folks need to move on and get into the 21st Century. Bob, I don’t understand that statement.